Lying in the Indian Ocean just off the southern tip of India, the compact island of Sri Lanka contains rich bounty for the nature traveler. 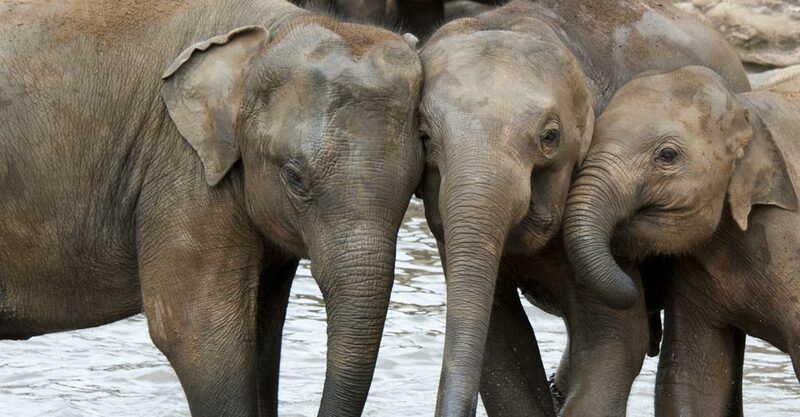 Herds of Asian elephants and troops of monkeys roam its virgin rain forests in the tropical lowlands. 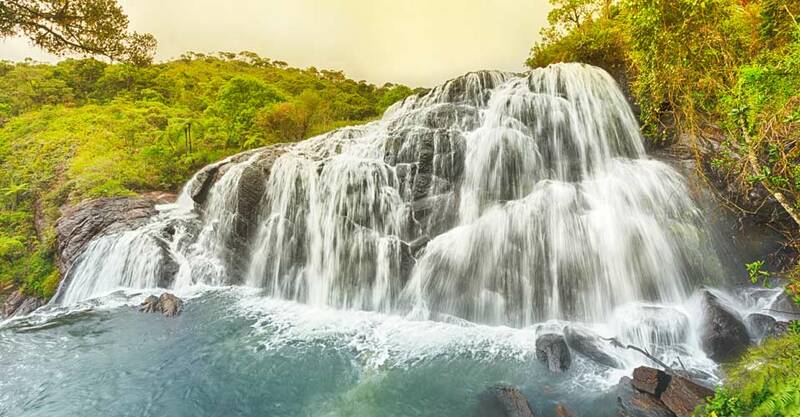 Waterfalls plummet from cloud forest highlands that shelter hundreds of colorful bird species. Golden beaches ring the island, while offshore, great blue whales—the largest animal on Earth—swim alongside sea turtles in clear turquoise waters. 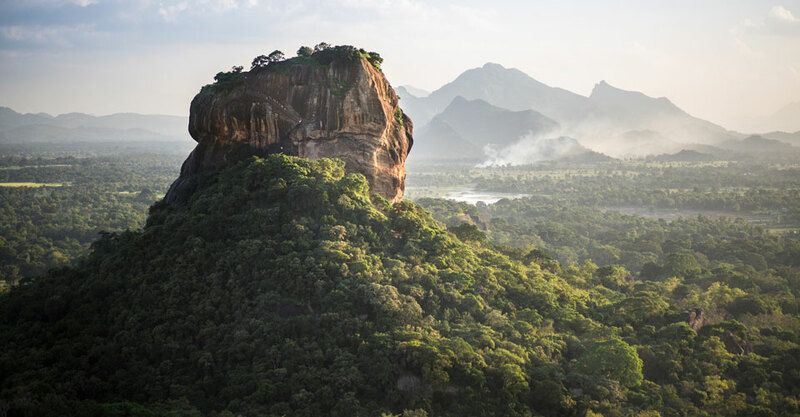 A global biodiversity hotspot, Sri Lanka has many endemic flora and fauna to impress the traveler captivated by natural wonders that don’t exist anywhere else. 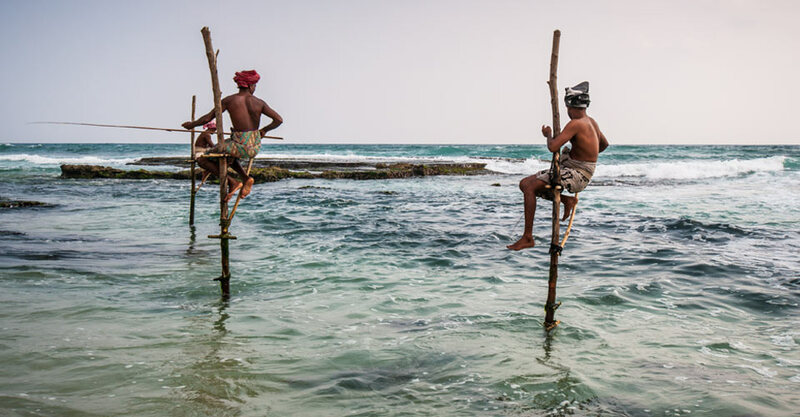 Sri Lanka, earlier known as Ceylon, also has a diverse cultural heritage that dates back more than 2,000 years, with a vibrant Buddhist presence and lingering influences from Indian, Arab and European adventurers drawn here over the centuries. 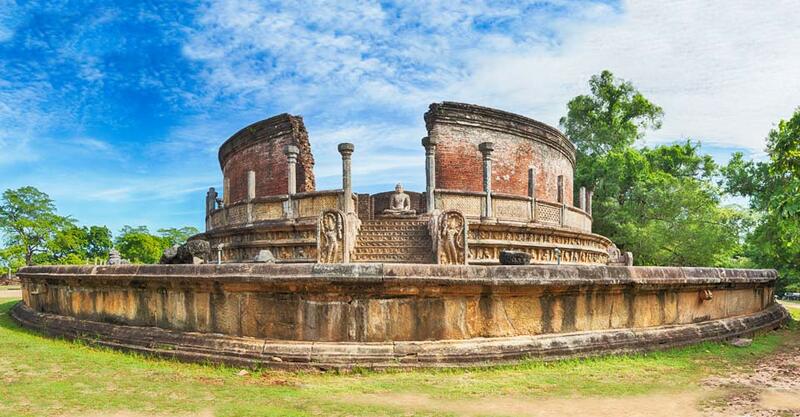 Most Sri Lanka trips focus primarily on history and culture. And while we would never ignore those aspects in this country so rich in human heritage, our primary emphasis is Sri Lanka's equally outstanding natural beauty and diverse wildlife. We don't think you'll find another itinerary that's nearly as nature-intensive as ours, while also including outstanding cultural highlights. A Remarkable Diversity of Native Wildlife—Elephant, Sloth Bear, Whales & More! 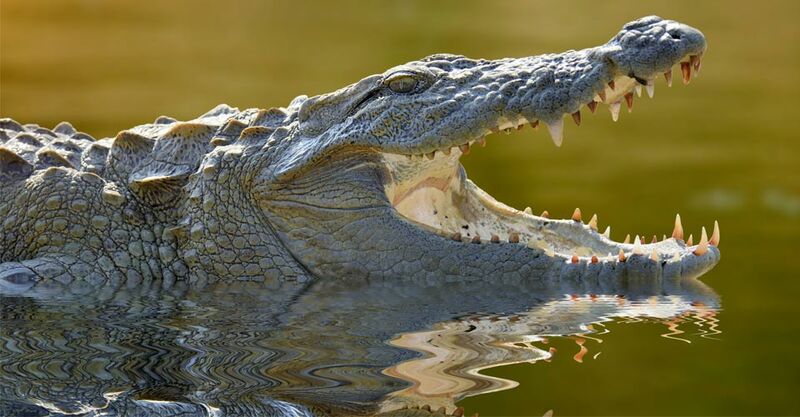 While some trips may include a whale-watching excursion or a day on safari in the jungle, ours does it all: we go in search of blue whales, leopards in Yala National Park, sambar, monkeys, scores of tropical bird species, and plenty more. Sri Lanka is home to one of the world's highest densities of leopards. Specifically, Yala National Park, a highlight of our itinerary, is where you'll find a great concentration of these charismatic predators. 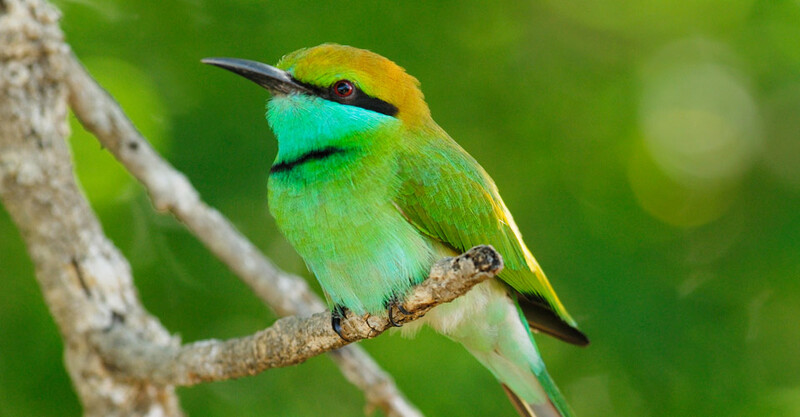 And though they are notoriously elusive, your odds of sighting one (or more) are better here than almost anywhere else. From Mirissa on the Indian Ocean coast, you'll have the world's best opportunity to look for blue whales, the largest mammal on Earth. While most visitors do so in larger 50-passenger boats, we charter our own private vessel for a personalized and uncrowded experience—not to mention access to the insightful interpretation our Expedition Leader provides. 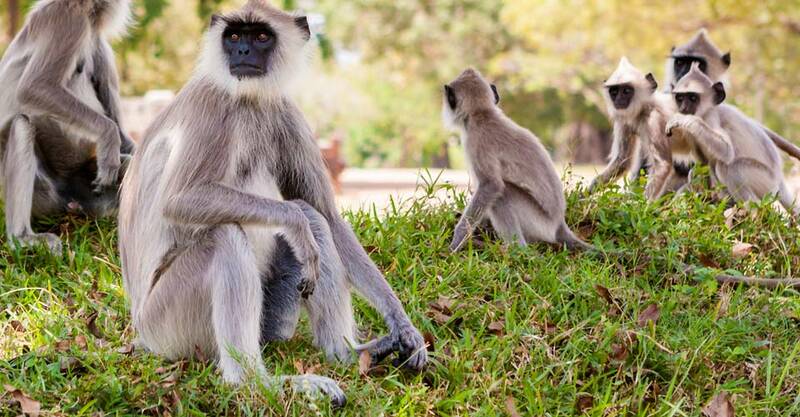 We use the very best safari vehicles designed for wildlife viewing in Yala National Park. Our open-top Toyota Land Cruisers with a long wheel base are the most solid and most comfortable sightseeing vehicles on offer. 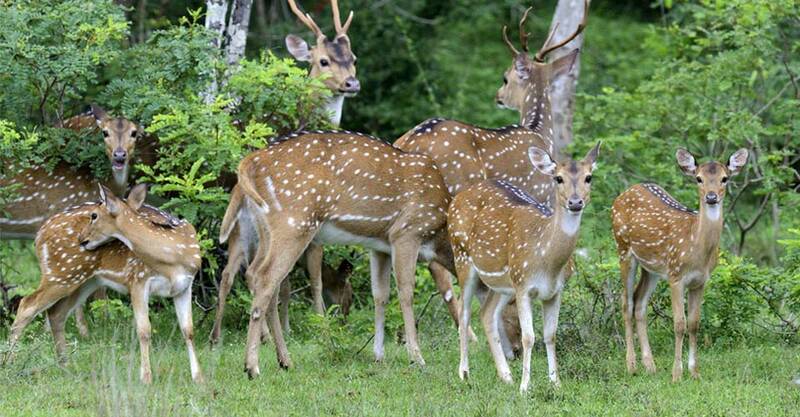 Not only do we cap our trips at 10 travelers, we split the group further for wildlife safaris in Yala National Park, for a truly exclusive experience with personalized guiding. 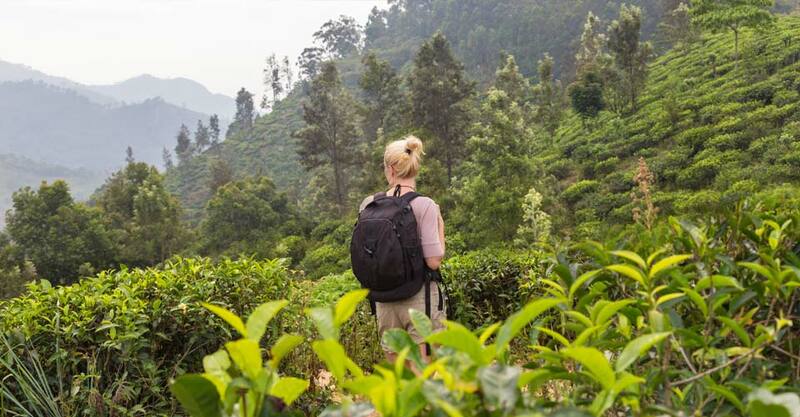 You'll not only travel with Nat Hab's own professional naturalist Expedition Leader, but also a Sri Lankan national guide throughout your journey, for the ultimate in knowledgeable interpretation, personal attention and individualized service. We choose our accommodations for both location and amenities, getting you as close to nature as possible while also providing the comforts that make your travels easy, relaxing and gratifying. From our tented safari camp in Yala National Park to our luxury beachfront boutique resort on the Indian Ocean designed by a renowned Sri Lankan architect, you'll find the places we stay nearly as memorable as the wildlife and culture we encounter. With Natural Habitat Adventures, you receive our exclusive quality-value guarantee that promises we will meet the high expectations we set forth in our promotional materials. To our knowledge, this is the most ambitious guarantee made by any adventure travel company. Read our important promise. We all care about the planet, and you can travel with us knowing that the emissions from your trip are 100-percent carbon-offset. 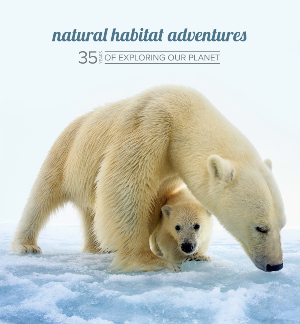 Natural Habitat Adventures is the world’s first carbon-neutral travel company, and a leader in sustainability in many respects. 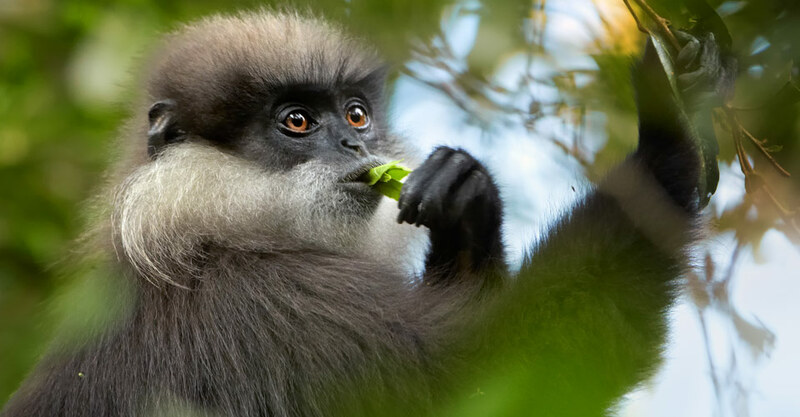 Fill out the form below to receive additional information about our Sri Lanka: Wildlife & Cultural Treasures or give us a call at 800-543-8917. 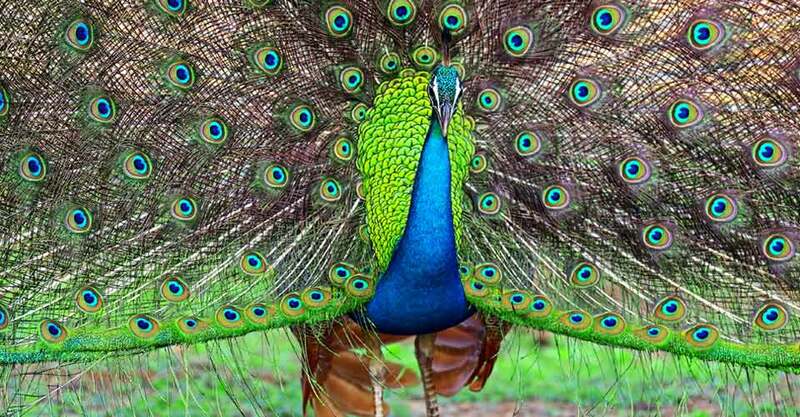 Hi Nat Hab, I’m interested in your Sri Lanka: Wildlife & Cultural Treasures. Can you please contact me with more information?